Just as the name suggests, a friendship bracelet signifies friendship. This is very popular among young girls because of the sentimental value attached to it. You can either make one and give it to your friend or you make two identical friendship bracelets, one for yourself and one for your friend. Whatever it may be, there is no denying the popularity of friendship bracelets. They have a very strong history, dating back to the thirteenth century. In modern times, friendship bands made by kumihimo are very famous. 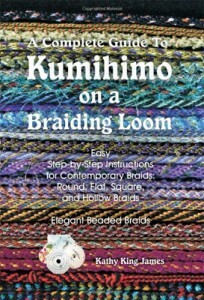 Kumihimo is a very technical Japanese braiding art form through which beautiful braids can be made. This technique is extremely popular because of its finesse. The resultant friendship bracelet is shiny, sleek, and great to look at. Not only does it symbolize friendship, but it also a fashion accessory. It can be worn at all times with all kinds of clothing and it will stand out for sure. Friendship bracelets are usually multi-colored with numerous patterns. Based on your preferences, you choose the design you want and the colors you want. Once you get a hang of the technique, you can make all kinds of designs with ease. You can also add beads and make named friendship bracelets. You can either spell out the word friend or the name of your friend depending on your choice. Whatever it may be, you can be sure that with kumihimo you will have what you want. For beginners, there is the kumihimo disk to take aid of and for professionals, the wooden apparatus named maru dai is ideal. This apparatus looks like a small stool and can support itself. You can make very intricate and fine patterns using this apparatus. 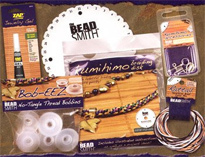 However, in order to make friendship bracelets, the kumihimo disk will suffice. Bobbins are another requirement so that you can make the friendship bracelets without hindrances or problems. 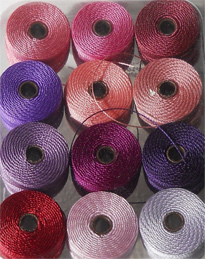 Depending on the number of colors you want in your friendship bracelet, you should choose the number of bobbins; one for each colored thread. Threads made out of satin are the best choice but you have options such as silk and bamboo to select from too. It all depends on your likes and dislikes. You can make multiple friendship bracelets with ease and gift them to all your friends as a symbol of your closeness and your bond. These gifts are very personal and special and this is why they make for great gifts. Your friends will simply love them for sure and the bond between you will strengthen further. If you want to make a gesture towards your friend and let her know how much she means to you, you can never go wrong with a friendship bracelet.